We've finally seen some warm days and the snow is melting and I can now see my front yard again. And its a bit dull. I spent about 10 minutes to liven it up and didn't spend a dime. Our local eclectic company trimmed some trees by our home this past week and left the trimmings next to the trees. I grabbed the handsaw and chopped up the branches so they would fit in my pots that we're feeling so very sad. 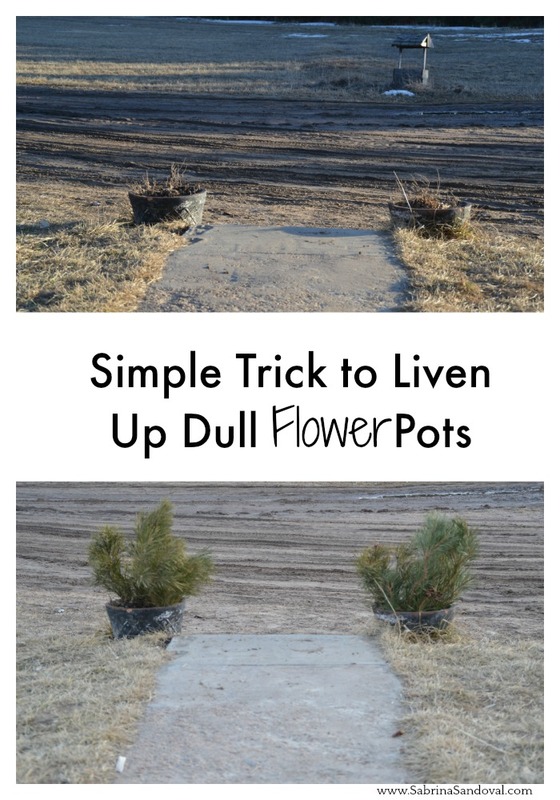 Gives our dirt driveway a little green in the mist of all of the dry grass, mud and bland yard appearance this time of year. There was enough clippings from the branches that I was able to fill the pot on the front porch as well to change up the winter décor. Wishing you all a week full of wellness! In life we miss 100% of the opportunities we never take. Often the way we feel plays heavily on the decisions we make. If you feel well you can do well and in turn you live well! My wish for you today as you move through the minutes of your routines is that you find wellness from within. That you feel content to enjoy each moment so you can truly LIVE WELL! We have had snow on the ground for weeks now. Its beautiful and brings moisture yet leaves me so cold and seems so bare out. A few days ago the kids got home from school and wanted to sled on our snow pile mountain. As I walked past the backdoor God stopped me and I felt an overwhelming feeling of gratefulness! The smiles that I saw we're of true happiness and joy. Laughter and giggles filled the stillness of our driveway, and I was brought to tears. You see, I had been so focused on how bitterly cold it was and how it made me feel that I missed out on how truly beautiful this season is. 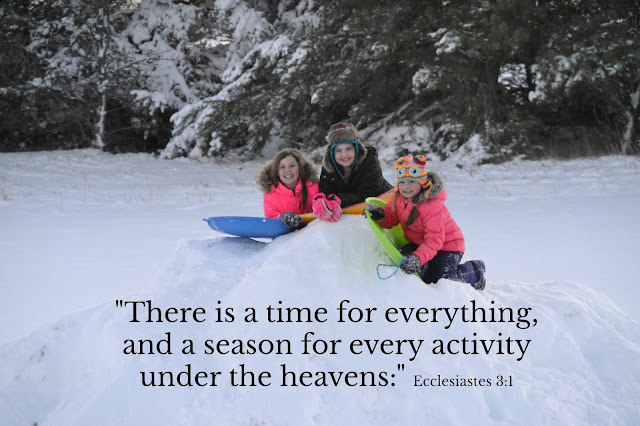 A TIME for EVERYTHING and a SEASON for every activity under the heavens! 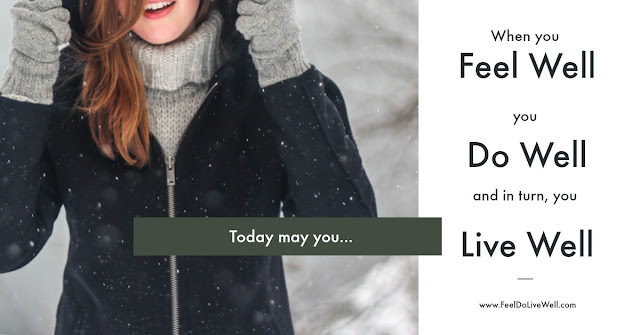 Don't let the "coldness" of the season stop you from finding time, an open heart and joy in enjoying the activities that are right in front of you. Embrace the moment that your in right now in your life. For this is the season and the specific time in your life that God created you for.